The ageing Rieinertobel rockfall protection galleries will require rehabilitation measures during the coming decade to ensure its durability. Before a gallery is rehabilitated, its current safety level needs to be assessed to decide whether strengthening measures are also necessary. Generally, an assessment of structures several decades old with current design standards will result in the recommendation for expensive strengthening measures. However, design standards (e.g. Swiss standard SIA 269) may offer the possibility for a risk‐based assessment, which allows for evaluating strengthening measures in consideration of both safety and cost‐efficiency. In a risk‐based assessment of the rockfall protection gallery Rieinertobel, it was shown that target safety requirements can be met without strengthening measures. 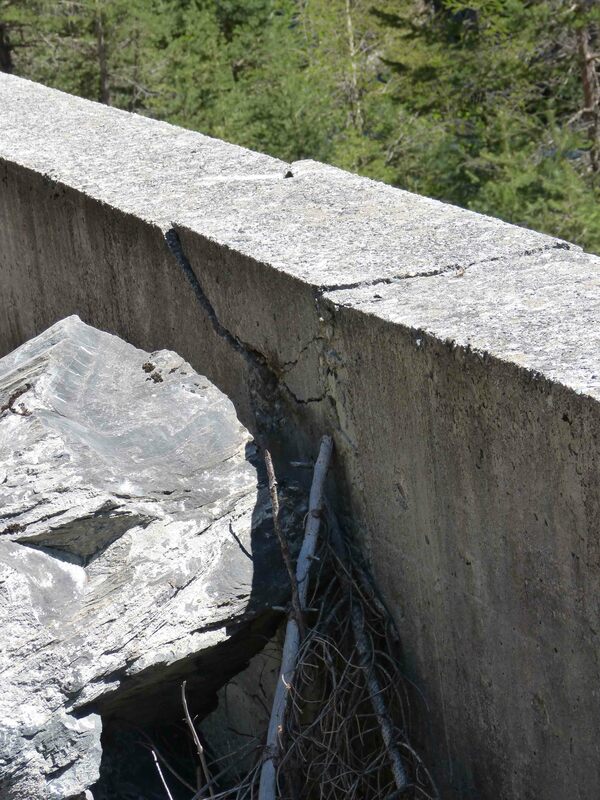 The guideline ASTRA 12006 allows for assessing the impact forces of rockfall on the roof of protection galleries. The guideline is based on 20-year-old research and should be refreshed shortly. The goal of this project is to research the phenomena and to established design procedures and models, which then shall serve as a basis for the guideline review. Matrisk was responsible for probabilistic modelling and the new design concept. In this project a probabilistic risk assessment was conducted for a road segment subjected to rockfall hazards. The detachment and the falling process, the failure probability of an existing protective wall and the impact on the road have been integrated into a full probabilistic model. This allows to propagate all inherent uncertainties through the entire process in order to support better decisions on possible risk reduction measures. Earlier studies on an existing avalanche protection gallery indicated that the gallery does not comply with the requirements of the present codes and standards. For existing structures the design loads can be updated based on risk assessment (see SIA 269 and Probabilistic Assessment of Existing Structures from JCSS). 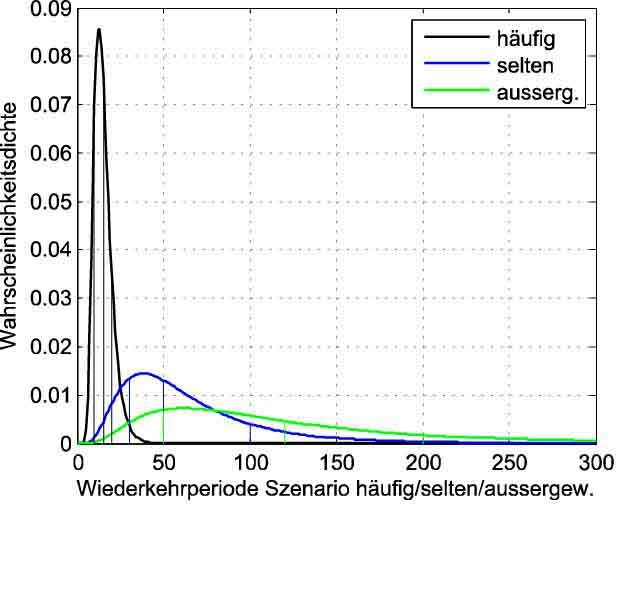 For an existing avalanche protection gallery the loads have been modelled in a probabilistic manner based on the load scenarios provided in ASTRA 12007:2007 and updated according to a target reliability level which is defined in SIA 269 (and also in JCSS PMC) in dependency of the risk. Based on full-scale tests on a replicated rock shed with different types of cushion systems, the structural behavior of a rockfall protection gallery will be investigated up to failure. The vulnerability of the gallery shall be investigated with the defined design concept. 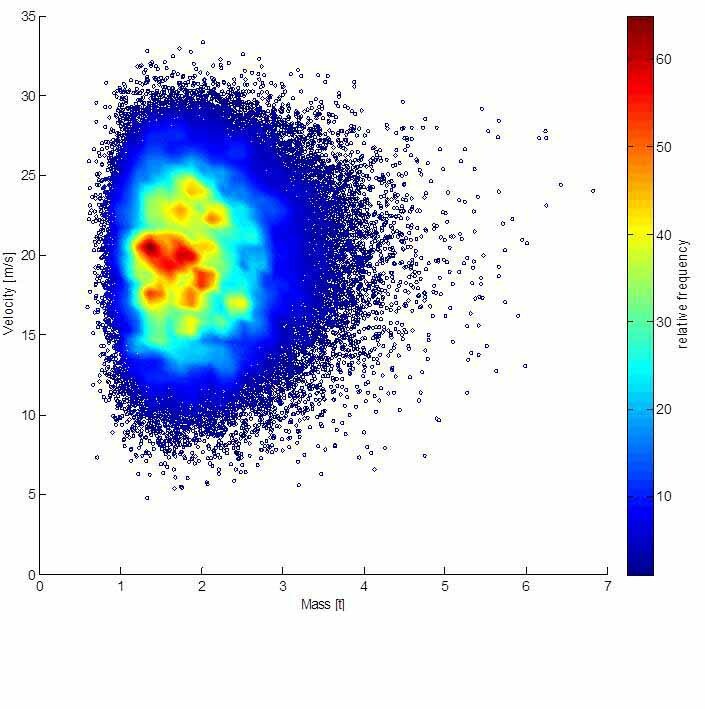 The aim is to identify different parameters in respect to their effect on the failure probability and to evaluate uncertainties of the dynamic model. 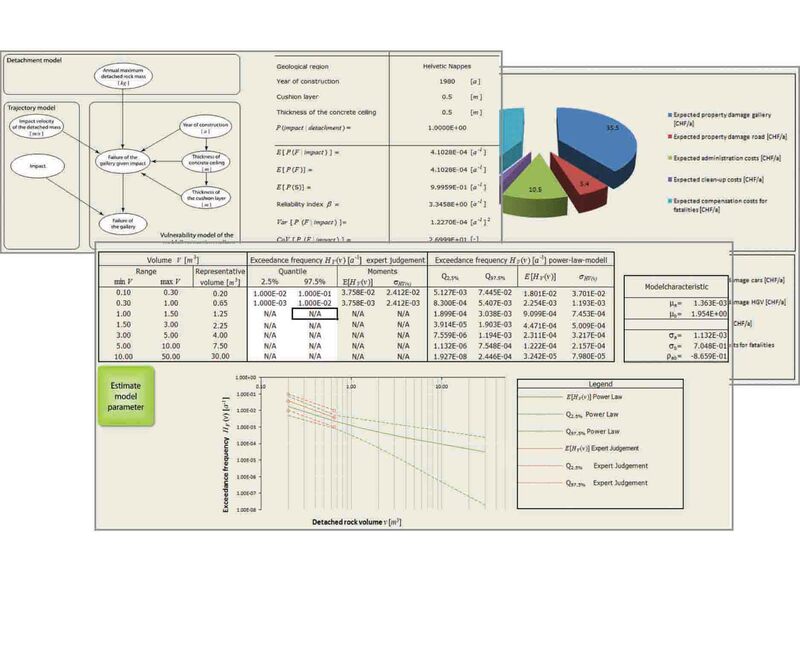 In this project a generic probabilistic Microsoft Excel®-based model is developed to calculate the risk due to rockfalls on protection galleries, taking into account the site- and object-specific characteristics. Using this input, the risk is calculated with the aid of Bayesian Probabilistic Networks both in an aggregated form and separately for the different types of risks such as property damage or expected fatalities.